The Tactical Innovations FLASH HIDER for Ruger 10/22® .920 bull barrels that are threaded 1/2-28 TPI are precision CNC machined from T6 aircraft aluminum and anodized for durability. The FLASH HIDER is CAD engineered to eliminate muzzle flash as well as recoil and muzzle jump resulting in faster target acquisition with minimal additional length and weight. The FLASH HIDER is available in your choice of a variety of colors. The Champion Targets 30Rd 1022 Metal Head Magazine helps maximize the performance of your Ruger 10/22. This Shooting Accessory made by Champion features a steel header for long life and a double-stack configuration, while still allowing for fast and smooth loading of 22-caliber long rifle rounds. A removable bottom panel on the 30 Round Metal Head Magazine by Champion allows you to clean out debris that accumulates after extensive shooting sessions. The Champion Metal Head Magazine is made with a rugged poly carbonate that ensures this Champion Shooting Accessory will provide years of dependable shooting fun. 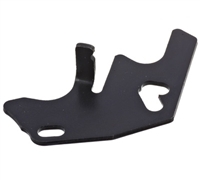 In response to customer demand for a high quality target grade precision machined replacement receiver for building a custom 10/22 rifle at an affordable price, serious target shooters, varmint shooters, as well as plinkers can enjoy the advantages of a machined receiver with a solid Picatinny mount that can be built into whatever level of precision is required. Our ELITE22 replacement receiver is loaded with the features that easily separate it from a factory receiver while still being able to use factory parts to complete it.